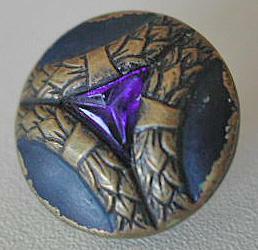 Small metal jewel button with intense purple cut glass stone. Loop shank. In good condition. The paint has gone on a few spots, mostly on the rim because of usage. I have 4 of these available.